Does your family listen to podcasts? Lately, we’ve been finding ourselves listening to more and more! With new podcasts being created every day, there is no shortage of stories, lessons, and discussions to tune into. Especially during the summer months when kids are out of school, we love turning on a podcast while we’re working on a craft, tidying up the house, and of course while we’re in the car. Road trips are the absolute perfect occasion for podcasts and we’ve definitely been embracing that this summer. Check out a few of our favorites below! 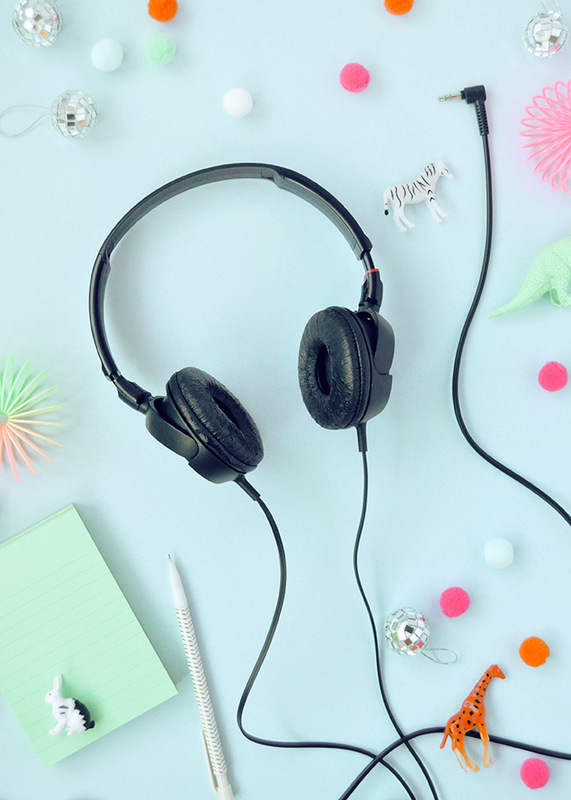 And we’d love to know what you’re listening to – please share your recommendations in the comments! You might be familiar with Circle Round from our feature earlier this year – it’s a weekly kids storytelling podcast from NPR’s Boston affiliate WBUR and is meant especially for kids aged 4-10. Created by parents of young children, kids will hear folktales and stories from all over the world. Each episode is 10-20 minutes long and discusses topics like kindness, persistence, and generosity. If your kids are interested in science, you have to give Brains On a listen! An award-winning podcast from American Public Media, Molly Bloom is joined each week a different kid co-host to chat about science and history. There are over 100 episodes in their archives, so you’re sure to find a whole bunch that catch your curiosity. You can even send in your kids’ questions – each episode begins with listener-submitted questions that are answered over the course of the episode. Cool! Story Time is a free storytelling podcast for kids aged 2-13. Each episode is just under 20 minutes and will definitely keep your little ones interested and engaged. Episodes are released every 2 weeks and a few of our recent favorites include “Waiting at the Bus Stop” and “Buffy Bunny’s New Zealand Adventure”. Fans of science fiction will fall in love with Finn Caspian – this podcast is a serialized story all about 8-year-old Finn and his friends, who live on a space station! Join them as they meet aliens and solve mysteries in each 15-20 minute episode. The story is written and performed by Jonathan Messinger, who is occasionally joined by his 6-year-old son Griffin, who critiques the episode and predicts what will happen next. Tumble’s manifesto has two beliefs: “If kids understand how science works, the future will be a better place.” and “Let’s make more podcasts for kids.” Hosted by Lindsay Patterson and Marshall Escamilla, Tumble is a podcast for kids but will be enjoyed by the entire family. Tune in to hear questions answered and mysteries solved – “The Case of the Whale Shark Party”, “The Hunt for Black Holes”, and “The Secret Senses of Plants” are all great places to start! But Why is a podcast for curious kids that starts each episode with a question. Why is milk white? Why is tape sticky? How does your heart work? Why do we laugh? Each episode tackles a different question and shares the answers throughout the episode. Make sure to give “Why is Tape Sticky” a listen – it’s one of our favorites! What are your favorite podcasts? Let us know in the comments! My 8 and 12 yo sons and I LOVE the new podcast Young Ben Franklin! We also love Pants on Fire. The podcast content coming out now for kids is so awesome!